The 'Buwan' singer Juan Karlos Labajo is under fire as Darren Espanto's mom filed a formal complaint against him. Atty. Lorna Kapunan has confirmed in a report by ABS-CBN. Two hearings have been conducted but JK was 'No Show' on the first reading. Recently, Darren's camp learned that JK's camp reopened the case for the second page as he got his own lawyer. "But recently when we checked the status of the case nalaman namin na kumuha siya ng abogado at nagpa-reopen ng case so nasa office of the city prosecutor 'yan kung i-reopen ang case pero may tentative hearing schedule on April 12. Pag ni-reopen ang second stage niyan magfa-file siya ng counter affidavit if he so desires or meron siyang mga question and answer from the investigating fiscal," said Atty. Kapunan as per ABS-CBN's report. 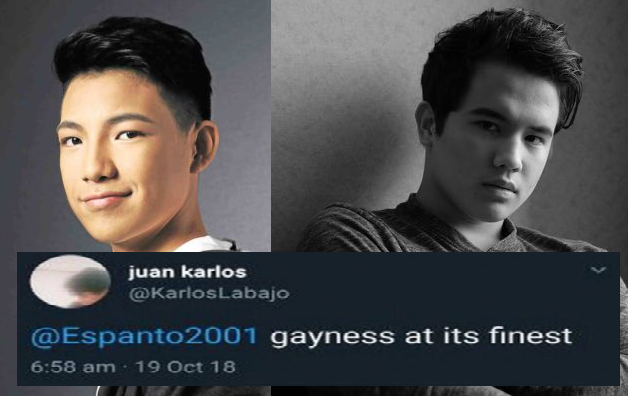 The feud between the two started last October 2018 for the alleged Tweet of Labajo to Espanto's sexual identity.